The Question, Monday 6/30/14: What is Under the Dome's Ratings Ceiling? Last summer's huge 3.3 premiere of Under the Dome was one of 2013's most significant ratings moments, helping to inspire an increase in effort from the broadcasters this summer. Dome itself remained a big success, though it ended up settling roughly 25% below the premiere number (including a couple 2.4's in August) before getting back to a 2.8 for the finale. And the struggles of The Following have raised some questions about how this new crop of broadcast "limited series" will weather 8-9 month hiatuses. I don't see Under the Dome pulling a full-fledged Following meltdown; its older-skewing audience should be a bit more resilient. But it still may take some hit across the hiatus, only returning toward the low end of where it settled in August. This level may be seen as a disappointment in some circles, but I think it's how this limited series thing will usually go in season two (unless there's more momentum late in the season than this show seemed to have). The Question, Sunday 6/29/14: Is CBS Reckless To Try Another Drama Here? Tonight, CBS unspools the first of its two new dramas this summer. 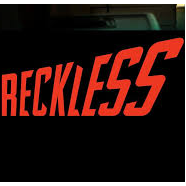 Unlike upcoming Extant, the legal drama Reckless wasn't originally planned for summer. Despite one of its worst new drama classes, CBS couldn't find a place for this show in the regular season, and that's probably not a good sign. And while lead-in Big Brother has a nice 18-49 audience, it's also wildly incompatible with the CBS drama stable, as seen in Unforgettable's rather low-rated turn in this slot last year. Unforgettable premiered at a 1.3 in July 2013. CBS is trying to appeal to the Big Brother contingent by playing up the steamy factor in promos, but that probably won't be enough to make it a much better option than Unforgettable. However, since this is a series premiere and not a known old-skewing quantity like Unforgettable, I don't think it'll do much worse, either... at least for now. Let's take a look at the 2013-14 season (the thirteenth overall) of Family Guy on Fox. Let's take a look at the 2013-14 season (the eleventh overall) of Two and a Half Men on CBS. The Question, Wednesday 6/25/14: Will Big Brother Be Even Bigger? Summer Wednesdays are finally getting a little more interesting, as CBS kicks off its summer season with the return of reality staple Big Brother. Last season, the show started off down double digits year-to-year on premiere night but did much better as the season wore on (benefiting in year-to-year comparisons from no Olympics). The finale hit a 2.5, exactly even year-to-year, so I expect this premiere to nearly match last year's somewhat underachieving 2.2 premiere. It is worth noting that the lights have been almost completely off on CBS for the last month; they didn't even have their usual early-summer reality filler like Dogs in the City or The American Baking Competition. But that likely doesn't matter a ton in this case. Let's take a look at the 2013-14 season (the fifth overall) of Modern Family on ABC. Top 10 of the Last 10: Which 2013-14 Shows Would've Made the Cut? Last summer, the "Top 10 of the Last 10" lists used A18-49+ to compare the top shows across the last ten years, adjusting for the collective same day ratings decline. This summer, the lists aren't getting totally re-done, but here's a look at what would've made the cut if they were getting totally re-done. Each list is linked below, so check 'em out if you weren't here last summer! Let's take a look at the 2013-14 season (the fifth overall) of Cougar Town on TBS. Scheduling history: After three years on the tail end of CBS' two-hour Monday comedy block, Mike and Molly was held for midseason in season four. It was back on the schedule by November, anchoring an hour for the first time on Monday at 9/8c. It had a December debut in 2014 to replace The Millers. It was once again held off the fall schedule in 2015-16, returning for a winter Wednesday run and ending the series back on Monday at 8:30. The Question, Sunday 6/22/14: Will Rising Star Rise to the Occasion? Tonight, ABC returns to the singing competition space with the premiere of Rising Star, which seems most noteworthy for its real-time voting aspect. These premieres are always worth monitoring, as the music-themed competition has been the best way to change an entire network's fortunes in recent years. Not only do these shows have megahit potential, but they have megahit potential across multiple hours and multiple nights of the schedule. However, ABC's already proven that even this lucrative category is far from a slam dunk. Two years ago, ABC's so-called "major music series" Duets premiered to a measly 1.7 rating, and the category was stronger in general back then. I don't really find these promos any more appealing than Duets', and there seems to be some fatigue around the whole category. But maybe the interactivity factor will help this skew younger. Perhaps a key tonight: Rising Star now has to fight off an original episode of America's Got Talent, which NBC clearly placed on this night to try to blunt the Rising Star rating. Programming note: I'm out of town this week, so the daily ratings coverage will be on hold till June 30. The usual War of 18-49 posts, a couple more Questions, and a couple other items will post between now and then, so stay tuned! Let's take a look at the 2013-14 season (the ninth overall) of Bones on Fox. On the last Wednesday before CBS shakes things up with the arrival of Big Brother, So You Think You Can Dance (1.7) took advantage, with a major surge to a new season high. Motive (1.0), the only other broadcast original, also had a sizable rebound. Scheduling history: ABC's entire run of Rookie Blue has aired on Thursday. Season one aired on Thursday at 9/8c after Wipeout, then the last three seasons have aired in the 10:00 hour. It was back to 9/8c for season five, then at 10/9c again for the sixth and final run. An early end to the NBA Finals meant ABC dropped 81% week-to-week. However, this was of no help to the only network really trying on this night; NBC's America's Got Talent (2.6) was flat and The Night Shift (1.3) actually dropped two tenths after a steady first three weeks. ABC aired an original Extreme Weight Loss (0.8) to very low results; it probably got hurt to some degree by program guide confusion (as many listings still indicated an if-necessary NBA game). And Fox made marginal improvement by pulling its reality bombs in favor of comedy repeats, though most of that came from Family Guy in the opening half-hour. TNT brought back Rizzoli and Isles (1.0), down considerably from last summer's 1.4 premiere, and Perception (0.7), down less considerably from last year's 0.8. Let's take a look at the 2013-14 season (the ninth overall) of Criminal Minds on CBS. The third and final week of ABC's Sing Your Face Off dropped two tenths to a 0.5 rating, which probably does not help in its quest for a surprise renewal. The Game of Thrones finale (3.81) wrapped up another season of huge growth for the show but came up shy of the 3.95 record from two weeks earlier. It's been a brutal last couple weeks for 24: Live Another Day (1.4), which dropped two tenths for the second straight episode. This time, it meant a new low. But to round out a weird night for Fox, MasterChef (1.8) swung back up to tie a season high. Mistresses (1.0) got back a tenth with the re-installation of The Bachelorette (1.7) as its lead-in. TNT's Major Crimes (0.7) and Murder in the First (0.5) each dropped in week two, though Murder did go ahead of last year's second King & Maxwell (which dropped to 0.4 in week two). Scheduling history: Rizzoli and Isles got two full seasons leading out of TNT's flagship procedural The Closer on Monday. Since then, it's moved to Tuesday and successfully anchored that night. See (who saw) how it all began: Rizzoli and Isles began on 7/12/10 with a whooping 7.55 million viewers and a slightly less whooping 1.6 demo rating. That put it just barely behind its The Closer lead-in's total viewership (7.66 million), but it was actually a tick ahead of The Closer's demo (1.5). That dynamic would continue through Rizzoli's first season; it dropped into the low 1's but stayed about a tenth ahead of The Closer in the demo. The best of times: Rizzoli and Isles still hasn't topped the 1.6 demo from series premiere night, though it hit a couple other 1.6's later in season one (on 8/9/10 and 8/23/10). While Rizzoli and Isles was at its strongest raw levels in its pairing with The Closer, it has arguably become much more valuable since the move to Tuesday, where it has been a lead-in for other series. It dropped just 11% in its first summer run, then went up by 6% in summer 2013. The worst of times: Since season two, Rizzoli and Isles has gotten the split-season treatment, airing a small portion of its season against regular-season competition. Usually, the 'buzzier' shows hold up better than the 'casual tune-in' shows, and Rizzoli is squarely in the casual category. Last season, it still hung around 1.0 during the summer, but didn't break 1.0 for a winter episode in its last several years. It got as low as a 0.36 on 3/1/16. Then vs. now: Rizzoli and Isles had a great formula for success, leading out of highly compatible The Closer and bringing together recognizable stars from two of the biggest syndicated procedurals (NCIS and Law & Order). And it's delivered exactly what all of those built-in audiences wanted. Despite its productivity, the emergences of Falling Skies and later The Last Ship mean it it hasn't actually been TNT's top demo drama since season one (and even then it beat The Closer by less than a tenth). With the fall of The Last Ship and The Librarians in 2015-16, Rizzoli was finally able to go out on top in its final season. Let's take a look at the 2013-14 season (the sixth overall) of Castle on ABC. Though ABC wasn't really any stronger week-to-week, NBC's Undateable (0.9/0.9) and Last Comic Standing (1.2) each took another hit. Along with Gang Related (steady at 0.8), these originals will hope to gain back some of the considerable lost audience with the NBA out of the way next week. Let's take a look at the 2013-14 season (the fifth overall) of The Vampire Diaries on the CW. Broadcast's top program on a very slow Wednesday was an O.J. Simpson trial retrospective (1.4). All original series were down, including the season finale of The 100 (0.5) and a double-burnoff of Growing Up Fisher (0.9/0.9). It was particularly rough for Motive (0.8), which dropped three tenths alongside declining comedy repeats. Game 4 of the Stanley Cup Finals (1.3) on NBCSN was a tick ahead of Game 3. Better yet, the series isn't getting clinched on a cable channel with modest coverage; the Rangers extended the series to a Game 5, Friday on NBC. And USA's second straight premiere night saw Suits (0.8) and Graceland (0.6) each return considerably below last summer's respective 1.1/0.8 premieres. This is about what Suits was getting in the spring. New this summer, this is one post with the Weekly True Power Rankings for all five networks' summer programming. As with the regular season editions, they line up all the network's shows based on their recent averages (last one-third of episodes aired) in the timeslot-adjusted metric True. They'll be updated each week alongside the SpotVault. These rankings cover results through Sunday, August 17. Let's take a look at the 2013-14 season (the tenth overall) of Grey's Anatomy on ABC. The NBA Finals (5.9) continued on its nearly dead-even year-to-year pace; this game was a single tenth ahead of last year's Game 3. In the first of the annual showdown between the NBA and America's Got Talent, Talent took a 10% week-to-week hit. However, The Night Shift (1.5) remained impressively steady. On cable, Pretty Little Liars (1.1) returned down from last summer's 1.3 premiere, while newbie lead-out Chasing Life (0.5) had an unpromising start. (The first post-PLL episode of last year's Twisted had a 0.5, but that episode had been previewed months earlier; the first completely new episode rose to 0.7 the next week.) And the declines continued for USA's Royal Pains (0.6), which opened up season six at a new series low. Let's take a look at the 2013-14 season (the fifth overall) of Parenthood on NBC. On Friday, week two of Crossbones (0.9) was down a tenth. It's still doing decent business, on the high end of the usual Hannibal and Dracula levels, but it will have to withstand an NHL pre-emption next week. On Saturday, NBC aired Game 2 of the Stanley Cup Finals (2.1), which had a great lead-in from over 20 million Belmont Stakes viewers in the late afternoon. The comparisons with 2013 don't really work because NBC aired Game 2 on NBCSN last year, but this game was massively ahead of the 2011 (1.3) and 2012 (1.1) Game 2s. Meanwhile, ABC's second week of Sing Your Face Off (0.7) was up a tenth week-to-week (and very nearly adjusted up to 0.8). This seems to be another example of a burn-off not doing as badly as the network anticipated. If they renewed Bet On Your Baby last year, maybe this gets another chance. Sunday was a three-way showdown of irregular programming. All were very close to even year-to-year: Game 2 of the NBA Finals (6.0) was barely above last year's 5.8, Miss USA was up a tick, and the Tony Awards were even. NBC's American Ninja Warrior (1.7) and Fox's MasterChef (1.6) and 24: Live Another Day (1.6) all gave back a chunk of their post-Memorial Day bounces (but remained slightly ahead of the Memorial Day numbers from two weeks ago). A week after airing four original The Bachelorette hours, this week ABC didn't have any; a clip show at 8/7c (1.0) led into a Hillary Clinton interview (1.1), which was a much worse lead-in for week two of Mistresses (0.9). Presumably this was all about lining up the Clinton interview with today's release of Clinton's book, but it was definitely not a good situation for either Bachelorette or Mistresses. On cable, the Stanley Cup Finals (1.2) moved to NBCSN and suffered as usual; Game 3 was down by 25% from last year's Game 3, which roughly matches the year-to-year trend for Game 1 on NBC. And TNT brought back Major Crimes (0.9) at even year-to-year, while newbie lead-out Murder in the First (0.6) matched last summer's premiere of eventually failed King & Maxwell. Scheduling history: Most episodes of Pretty Little Liars have aired on Tuesday at 8/7c, but the network tried its first couple winter runs on what was historically its premier original night (Monday). See (who saw) how it all began: Pretty Little Liars had a pretty respectable start on ABC Family, opening with 2.47 million viewers and a 0.9 demo on 6/8/10. This put it a bit below the network's flagship show at the time: The Secret Life of the American Teenager, which usually hit low-1's that summer. Liars held its 0.9 in week two, inched up to 1.0 in week three, bounced down to 0.7 and back up to 1.0, and then steadied at 0.9 for the most of the rest of the summer 2010 run. That summer closed on a new series high 1.1 on 8/10/10. The best of times: Since the midpoint of season one, Pretty Little Liars has had remarkably consistent raw numbers. It's mostly been in the low-1's for the last three and a half seasons. A show built on teases and big reveals, PLL has occasionally spiked big-time for premieres and finales. The series high remains a 1.6 for the season two finale on 3/19/12, and that was massively up from a 1.0 the previous week. The last couple winter runs have also had huge spikes to 1.3, way up from the previous week. The worst of times: The weakest run of episodes remains the series' opening weeks in summer 2010. The show pulled just a 0.7 in week four of the series on 6/29/10 and took over four years to go that low again (it happened on 1/20/15). The winter 2015 run finally saw raw numbers below the first half of season one, and season five also had the series' biggest year-to-year declines. However, the declines still weren't much more than the average decline for broadcast originals, and the 1.3 to end season five was one of the show's most impressive points ever. The 1.39 to end the first half of season six may have been even better. But PLL finally went into collapse mode in the second half of season six, and it mostly continued throughout the final season. It fell as low as a 0.40 on 5/2/17. Then vs. now: The raw numbers story with Pretty Little Liars has long been pretty boring, but that kind of consistency has made PLL increasingly valuable over the years. It was an impressive player from day one, but it was outdrawn by Secret Life in its first season and a half. Only starting in 2012 did Pretty Little Liars emerge as ABC Family's top series, and it's now gone several years with no real challengers for that title. Like the CW's flagship The Vampire Diaries, much of its value comes from its great resiliency, even though it skews toward a historically fickle demographic. The A18-49+ theme posts combine all of the individual season info in one specific category, allowing us to line up the last eleven seasons of collective Live+SD ratings declines on a relatively apples-to-apples basis. In future seasons I will update these pages with the new season numbers. The first networks post looked at eleven years of the network race using what I consider the best available measurement of network strength: an average of their original non-sports series ratings. This one adds three additional angles: it widens to overall ratings (including repeats, sports and specials), then narrows in on scripted originals, then breaks the scripted originals into the still narrower comedies and dramas. I don't like any of these on their own as much as all originals, but they help supplement/explain those basic numbers. For today, we're just doing the big four. The netlets may be added in a future year, but they probably wouldn't be that interesting anyway (as they have little to no sports/comedies). Let's take a look at the 2013-14 season (the fifth overall) of Glee on Fox. Game 1 of the NBA Finals (6.0) fell in the same general ratings vicinity as the last three Miami Heat-fueled Finals; it was up a bit from last year's 5.7 for the same matchup, but behind the 6.5/6.9 to kick off 2011 and 2012. The pregame stuff in the 8:00 hour was similarly close to even. The other networks took week-to-week hits, especially in the two hours after the game got started. Most significant were the 20%+ drops for week two of Undateable (1.0/1.0) and week three of Gang Related (0.8). Scheduling history: All 25 Dollhouse episodes aired on Friday night. 9/8c was always the show's regularly-scheduled home, but several season two episodes aired at 8/7c as the network burned through the episodes in December and January. Despite a market-size match made in heaven (New York vs. Los Angeles), Game 1 of the NHL's Stanley Cup Finals was down 24% from last year's 2.5 opener. It still stacked up relatively well vs. other recent Game 1's (1.8 in 2011, 1.1 in 2012), but these markets probably do not have as much hockey interest per capita as last year's competitors (Boston and Chicago). Week two of So You Think You Can Dance (1.5) was down just a tenth. And ABC continues to ring up noticeably strong numbers with The Goldbergs encores (1.2/1.4). This has clearly helped Modern Family, whose 1.6 was better than any summer repeat from 2013 and tied the 2012 high! The momentum continued to Motive (1.1), up two tenths from its first two deliveries. Let's take a look at the 2013-14 season (the fifth and final overall) of Community on NBC. NBC's Tuesday lineup had a great hold in week two, with America's Got Talent (2.9) and The Night Shift (1.5) each shedding just a tenth. The Celebrity Wife Swap (1.5) finale had an odd jump, going well above any number from this season (or the summer 2013 run). These last couple weeks may have gotten it yet another season. And things got even more anemic on Fox as Riot (0.4) plunged to I Wanna Marry Harry levels. And the CW debuted its latest unscripted bomb Famous in 12 (0.2). It may play out the string to reduce repeats, but it did no better than repeats of pretty much anything. Let's take a look at the 2013-14 season (the fifth and final overall) of Warehouse 13 on Syfy. I didn't remember Memorial Day being particularly brutal for TV ratings in past years, and it actually looks like overall viewing was even lower on June 2 than the previous Monday. But nearly everything that aired last week still had a double-digit bounce-back, so maybe last week was just a huge fluke. That included good news for MasterChef (even if a 1.7 is still fairly underwhelming for this show), 24: Live Another Day (1.8), The Bachelorette (1.7) and especially American Ninja Warrior (1.9 which held after finals, impressively topping every single point from last season). Some shows also joined the mix, including the return of ABC's summer drama Mistresses (1.2), matching its series premiere rating last year. The CW began its summer with Whose Line Is It Anyway? (0.5) and Beauty and the Beast (0.4), which tied its high point from the regular season. Cable (still to come): A&E's Longmire (0.7) was back at two tenths behind last season's premiere. NBC's summer run of Crossbones (1.0) got off to a modest start, premiering just below the season two premiere of Hannibal (1.1) and miles below Dracula's 1.8. It's not that much of a triumph since it had a very good lead-in by Friday standards from Dateline (1.3 overall, 1.5 at 9:30). And it skewed considerably older than Hannibal (with 4.9 million viewers), more in line with the skew of its Dateline lead-in. For a shot at another season, it probably has to at least match Hannibal's 0.8 to 0.9 norm when it settles. ABC began a brief foray into an all-original Saturday with returning Bet on Your Baby (0.5) (which matched last year's April premiere) and Sing Your Face Off (0.6). Hard to really know what ABC's standards are (they renewed BoYB at a 0.5 average), but they're burning through the six hours of Sing Your Face Off in just three Saturdays. On Sunday, ABC aired a low-rated original episode of The Bachelorette (1.4), NBC's dramas (0.9/0.8) bounced back a bit from their Memorial Weekend ratings, and Fox resumed the burn-off of Enlisted (0.4) in the 7:00 half-hour. Not yet included: HBO's Game of Thrones (3.9) tied its series high from two weeks ago, while AMC had one of its weakest drama debuts yet in Halt and Catch Fire (0.34). Let's take a look at the 2013-14 season (the tenth overall) of American Dad! on Fox. We last examined the network race about three months ago, when I was putting up a pre-emptive strike against what I saw as the likely media narrative come May: "NBC only won because of the Olympics!" However, with the season in the books, NBC was able to make the claim that they were #1 even without the Olympics! I doubt they account for the fact that they'd have had two and a half very low-rated (AKA without The Voice) weeks in its place, and I don't know whether that would've made the difference. But either way, the "#1 without Olympics" title got NBC the recognition it had been due for a year or two. The problem is that it probably got it too much recognition. So I have to make a strategic shift in this post, from "NBC is underrated" guy to "NBC is overrated" guy. Here's a look at how the 2013-14 network race shaped up. Scheduling history: Raising Hope launched on Tuesday at 9/8c, leading out of the peak season of Glee. In season two, Fox wisely shifted it to 9:30 to launch the far more substantial newbie New Girl. Late in season two and through season three, it led off Fox's attempt at a two-hour comedy lineup on Tuesday. And season four was essentially burnt off in the Friday 9:00 hour.